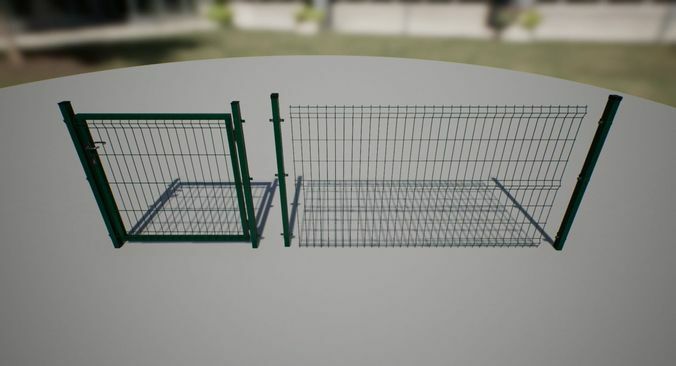 Modular Fence asset, game-ready with PBR materials. Mesh is triangulated and ready to use with Unity/Unreal/whatever you are using. Blender file contains all low-poly meshes, well organized and in proper scale. Textures: PBR for both Metal Roughness and Specular Glossiness workflows with Open_GL and DirectX normals maps. 4x 2K textures (if you want different resolution just ask me). Materials: For Unreal Engine. Unreal folder contains everything you need to use this asset for your project. Hope you like it! :) If there is anything wrong or not working tell me about it, and I will do everything to fix it as soon as possible. You can easily check quality of my assets by downloading this Vintage Wi-fi router for free! https://www.cgtrader.com/3d-models/electronics/other/vintage-wifi-router-game-ready-asset If you like my work make sure to click follow button so you can see all my new assets I'm creating.